Marketplace lending is more transparent than other areas of finance and many of us are in the industry are pleased that this trait continues as the industry matures. Yet, there are still issues with when and where to get timely information on what's going on. Good decisions come from good information. For instance, Lending Club is a publicly traded company and their Statistics are available on their website. If you tried one of my favorite newsgathering techniques by setting a Google Alert, you'd find very little information as most of it is about the performance of the stock so I'll save you some work. 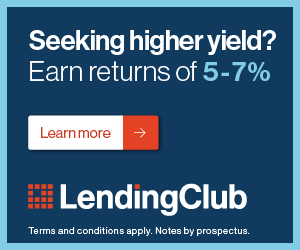 Don't bother setting an Alert, at least for this term even though Lending Club is one of the industry leaders. While that is 1 non-source, here are 5 sources I read regularly to stay up to date on industry news. The biggest conference in fintech is LendIt, and recently they started LendIt News. You can get a short daily email with news tidbits and links or go to the LendIt website (link above) and read the stories you want. While the LendIt guys have gone more general from marketplace lending to fintech in general, this is still one of the best places to stay current on industry happenings. They are @LendIt on Twitter. PeerIQ has a very good blog AND a weekly email newsletter to keep you informed. PeerIQ is highly analytics and data-driven in their news. They have some proprietary tools and research including their own MPL Loan Performance Monitor and Webinars to go over Lender Earnings. Like it or not, the worlds of marketplace lending and banking are colliding. Someday peer loans will be bank service offering taking what Goldman Sachs does with Marcus or Suntrust with Lightstream to new levels. To better understand banking's role in marketplace lending, where bankers and former bankers are going to help our industry, and help with regulatory and compliance issues in the industry, American Banker is a must read. They cover fintech or what they call banktech as well and they have a podcast. I use Twitter to access American Banker marketplace news @AmerBanker and one of their better writers and editor at large @pennycrosman is worth a follow too. NOTE: Some of their articles are free to access and some are behind a paywall. Subscriptions are expensive but even the free content is good info usually not found elsewhere. Lend360 is one of my favorite conferences. About 4-6 times per year, they have webinars run through their partners and ongoing sponsors with good relevant info. The most recent one was presented by legal information provider LexisNexis on Mitigating the Risks of Fraud in Online Lending. While many of these seminars are targeting the firms in the industry, there's great info you can learn to help with your own decision making. After hearing one of these webinars, I decided to change my investment allocation away from one platform I was considering more investment. I did not like the direction of their answers to various questions. The information here can be invaluable. Things only industry insiders learn, and you can learn them too. They are @Lend360 on Twitter to find out more about when the next webinars are available. And now for a surprise.....or maybe not for some of you. Thanks to the TECH part of fintech, Twitter is a great meeting place for our industry. Everyone from investment funds, lending platforms, conferences and media, bloggers like me, and service providers to the industry are on Twitter. You can learn lots from what topics these people tweet and retweet and see what people are prioritizing or what they otherwise see as important. And I'm @StuFinancesTech. Follow me and say hello. I'm very active on Twitter. So from analytics to banking to conference leaders, here we have 5 sources for ongoing and updated marketplace lending news. Yes, you are right. Twitter is really a great platform that can be used for businesses and we can get an idea from it as well. I believe that Twitter is definitely one of the great marketplace lending news sources. Thanks for sharing this article. You have to sort through lots of noise sometimes but it really can give you insights you can’t find somewhere else.